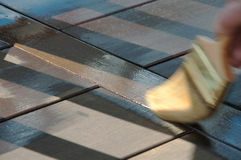 Painter s Brush Staining Deck. 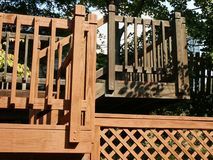 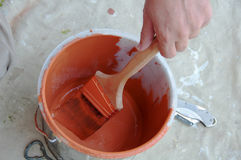 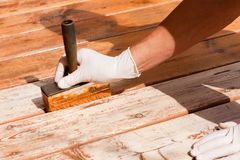 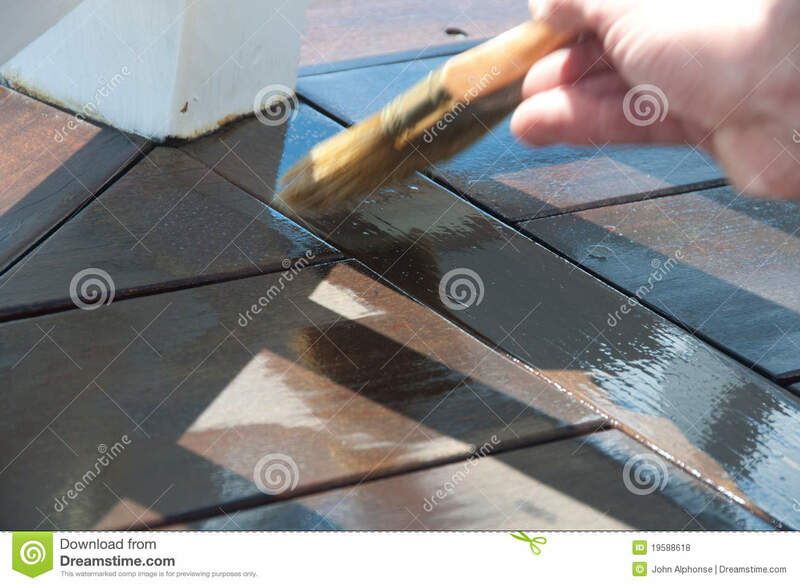 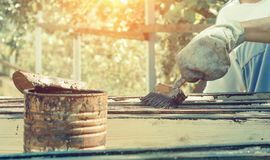 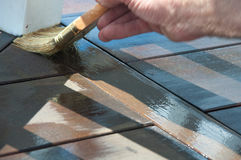 A painter applies a coat of wood stain to an outdoor deck. 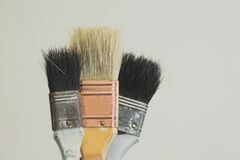 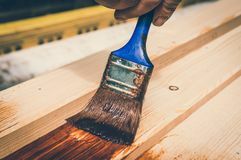 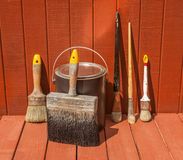 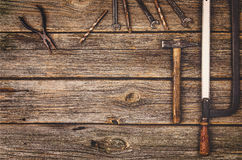 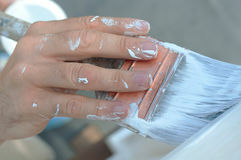 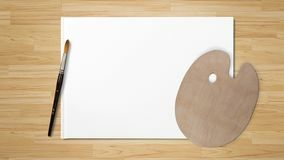 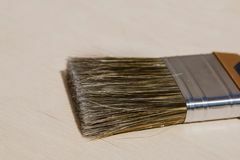 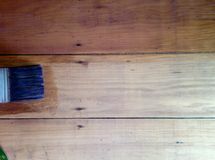 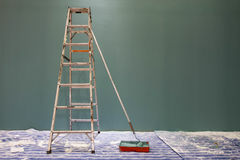 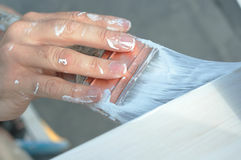 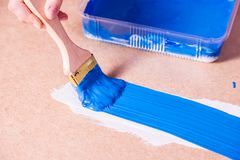 Brush to cover the bristles close-up Painter with paintbrush painting wooden surface Background paintbrush staining pine floorboards before after Deck maintenance apply stain on wooden decking Male worker in old glove is painting boards for home decoration Paint brushes New wooden palette with art brush, isolated on white background and wooden background Hand with brush paints with blue paint Paint brush with the wooden handle.